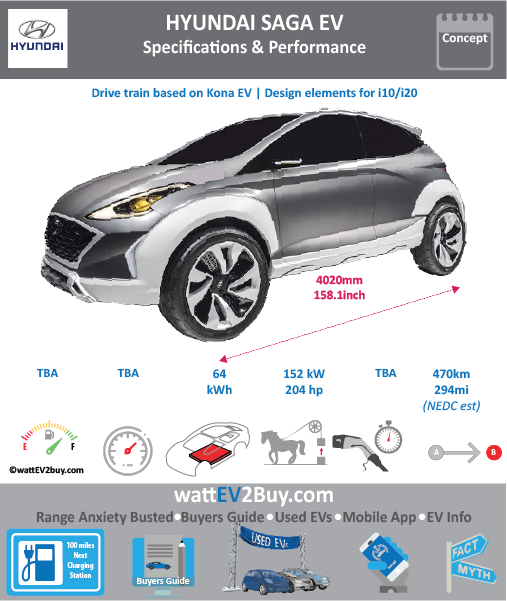 wattev2buy explores the Hyundai Saga EV Concept specs, range, battery, charge time price as it vies for a position in the fast-growing EV market. Interested in buying the Hyundai Saga EV Concept? See how the price and range of the Hyundai Saga EV Concept compare with its competitors in key markets. 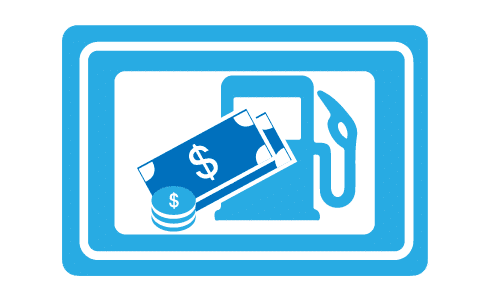 Go to our detailed breakdown of Global EV Sales to see how the Hyundai Saga EV Concept fares to its competitors in the fast-growing EV market. Hyundai revealed its design study for the upcoming Brazilian-spec cars, the HB20 and HB20X. It is expected though that some of the design elements will also find its way to the Grand i10 and Elite i20, which are due in 2019 and 2020, respectively. The Hyundai Saga EV Concept was revealed at the 2018 Sao Paulo Motor Show in Brazil and is developed using the Kona EV drivetrain.